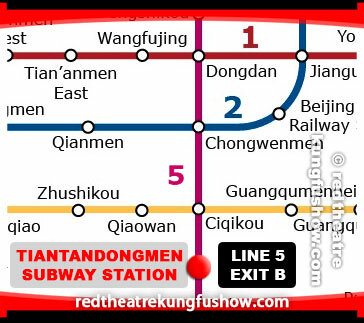 Red Theatre is located 1000m away from Tiantandongmen station on subway line 5 which is next to the east entrance of the Temple of Heaven. Taxies are often difficult to find so it is adviced to first arrive by subway and take exit B where many rikshaws are waiting. 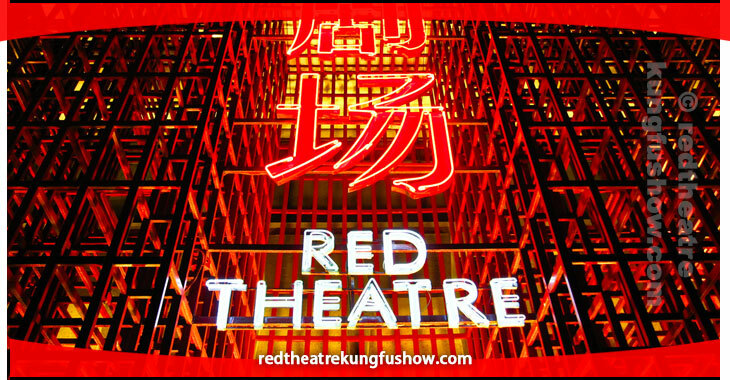 They can take you to the theatre for 10CNY. You can also try to look for a taxi or walk for just 15minutes. 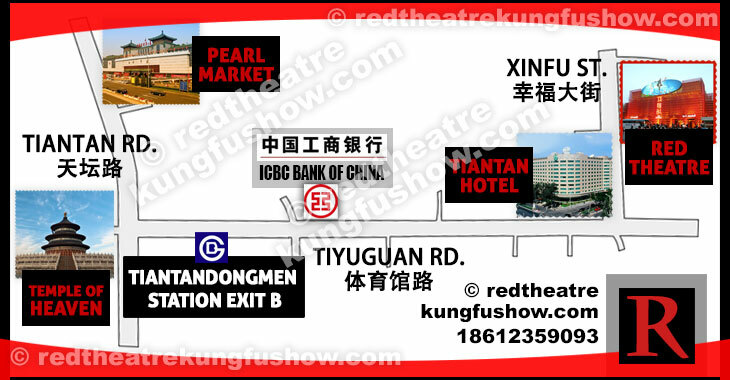 See the map below for directions. Show Time: 5:15PM & 7:30PM (Duration: 1 hour, 20 minutes). Click here to book discount tickets!